Indican Pictures will release Hunter West’s new thriller Ridge Runners this week. The crime actioner involves a child abduction ring in a small town and detectives who go in search of a missing 12 year old girl. Ridge Runners stars Jennica Schwartzman (Parker’s Anchor) and Christopher Howell (Hayride). 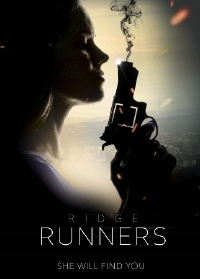 Ridge Runners saw a limited theatrical release in January and hits digital tomorrow, April 10, 2018. This is an indie release, and with many of them - especially ones about human trafficking - the acting is fair to middling. This one features excellent actors and a director who knows how to pace a story. The criminals are given colorful personalities, which make them more realistic.